Em Stafrace| Just a Girl with Ideas: HITCHED & STITCHED. This week Sissy Sparrows has been crazy busy releasing lots of incredible kits. These current fab packs are some of my fave series the Sparrows release. The Trash Drawer packs are to simply put it '...a little mixed bag of goodness'. They are like the staples of your digi stash. Filled to the brim of sometimes a random eclectic mix of bits and bobs that are perfect for filling gaps or to further enhance your digi pages or as in this current release Trash Drawer Vol 3 lends itself perfectly to any vintage style page or one dedicated to your grandma or anyone that loves needlework. So I decided to use some vintage pics of my Grandparents on their wedding day and although I did not mention this in my journaling I do know that my Grandmother modified the dress she wore on her special day to include some detail work in the neckline and shoulder along with the rosette in her hat. I know Grandpa doesn't look too happy, he was really! I think it was playing on his mind that he was being shipped off to Turkey within the week following their wedding...so he was a little glum. Happy to report that there are some other fab pics of him beaming probably should have included them in this page lol. This next page is one of my friends daughter, Summer. Her mum Kyla and I decided to have a photoshoot a few months back and this was one of the shots I took of Summer posing for us. 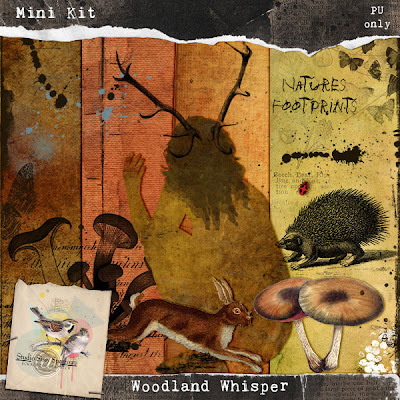 I thought it would work well with the new freebie mini kit by Sissy Sparrows called 'Woodland Whisper' which you can see below. 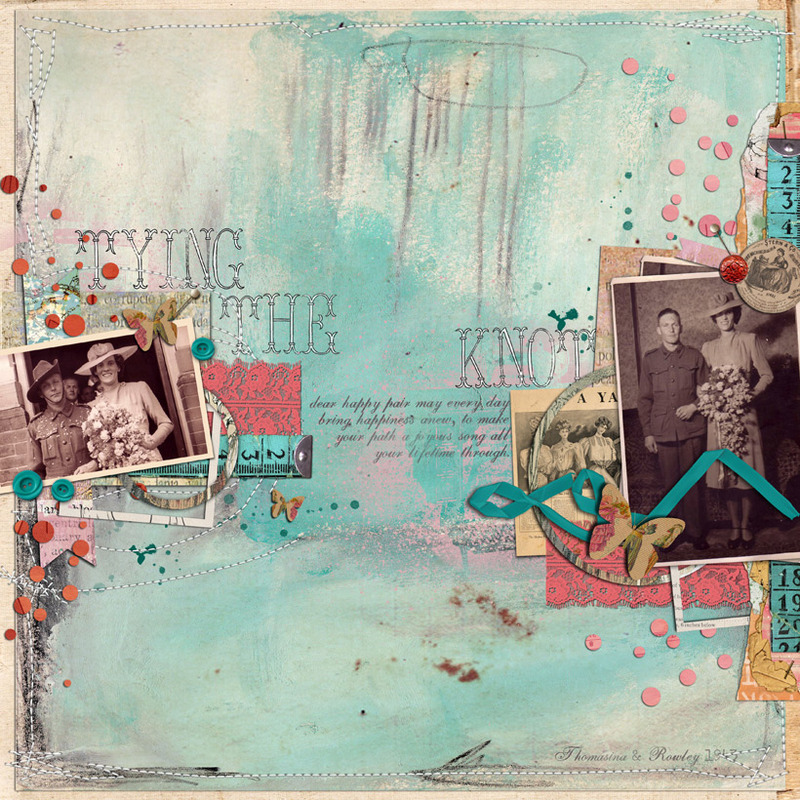 You can download it at Scrapbookgraphics by clicking on the image above and whilst youre at it have a little read about these two amazing women in their Featured Designer Spot. Anyways back to teh DT page, I figured since stitching is so on tread at the mo, I couldn't pass on the op to add a few from the new 'Stitched Up' pack oooh and added a couple of the 'Paint Can' overlay borders to frame this page. Lastly here is this weeks Casefile #93 over at CSI. Its includes one of Page Drafts sketches this week so had to share that here with you. Here is my DT page. 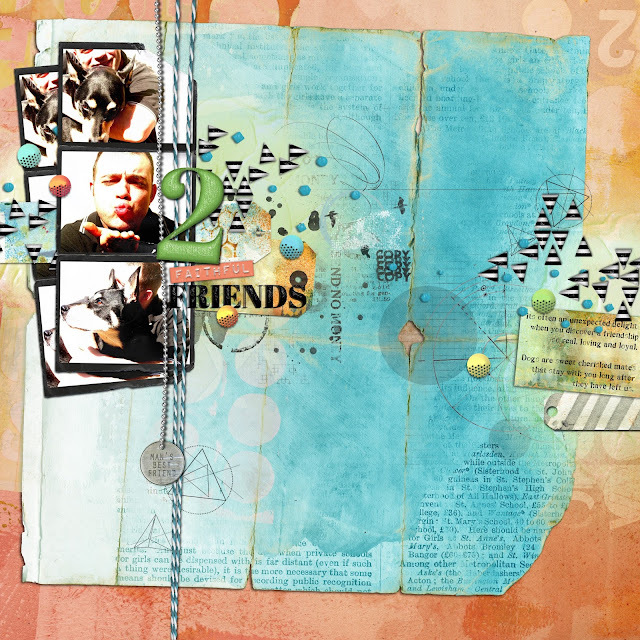 Today is a Struggle Mixed Media Paper Pack by Captivated Visions. All other elements by moi. Okay so thats it for this post hope you like the pages. Have a fab week and thank you for stopping by! Wow, your pages are awesome, so perfectly designed! Wonderful lo's Em! All look so fun!